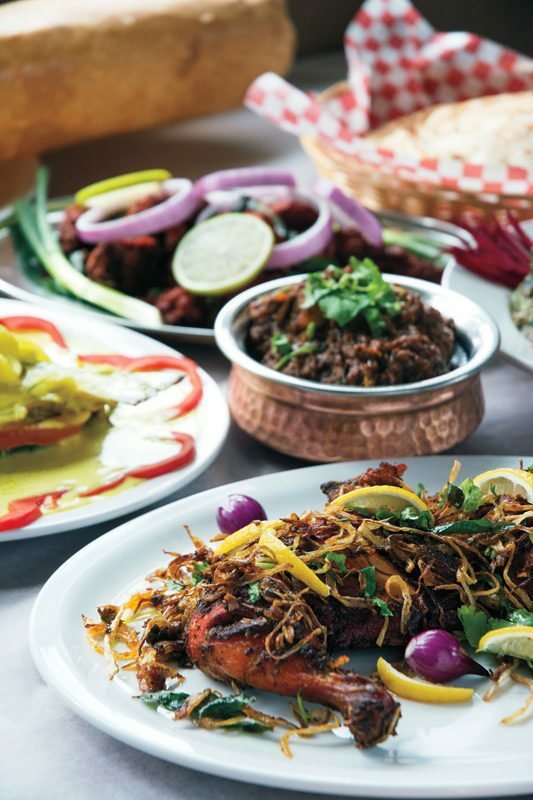 One of only a handful of restaurants in Ottawa specializing in the distinct cuisine of Kerala, a region at the southernmost tip of India, Kochin Kitchen does justice to the traditions and flavours of the area. 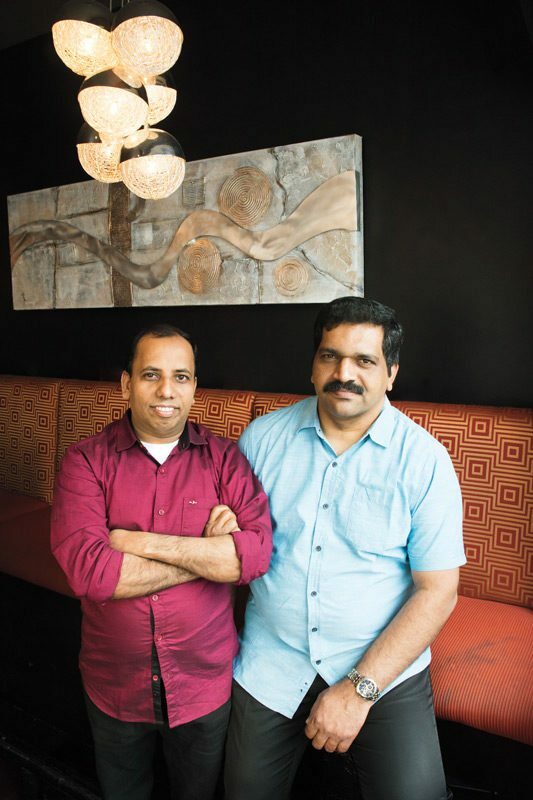 After a short closure earlier this year because of a family emergency, owners Nelson Abraham and chef Anilkumar Oorkolil have reopened, sticking to their well-loved menu of coconut-infused dishes. Those who are skeptical of lunchtime buffets of Southeast Asian food will be pleasantly surprised from the moment they walk through the door. 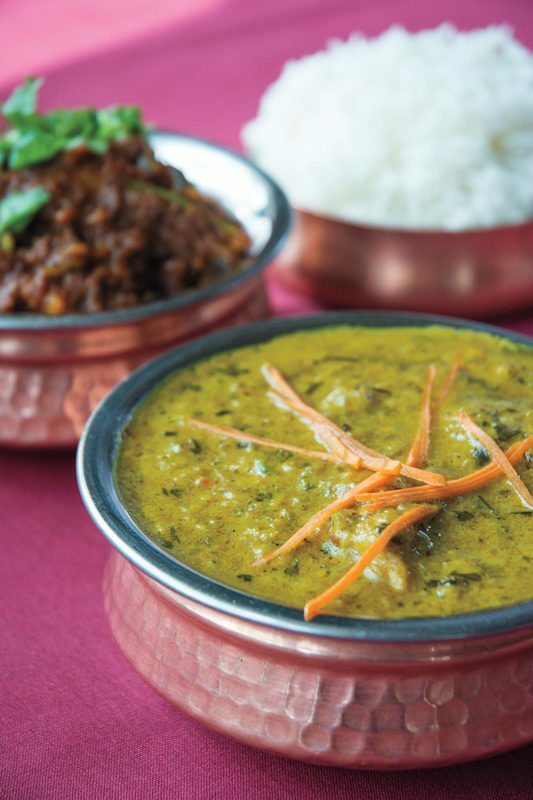 Their senses will be welcomed by the fragrant and colourful dishes on offer: chunks of tender salmon swimming in a silky golden sauce loaded with turmeric and coconut milk, butter chicken (a nod to the northern Indian dish but adapted to Kerala with coconut milk taking the place of dairy), and a dry curry of peppery strips of lamb. The veg option the day we visit is a savoury mushroom thoran, a delectable stir-fry. These sturdy mains are accompanied by two soups: sambar, a vegetable soup packed with cumin, the thin broth featuring chunks of carrot and potato, as well as a thick tomato soup. A tangle of onion bhaji, or fritter, is a light, crunchy appetizer. Rice pulao with chilies and, yes, coconut, as well as basmati rice, forms the base for soaking up the delicious flavours. Chewy parathas take the place of the doughier naan to scoop up the curries. There is a mellow warmth rather than a kick of heat to the dishes, due in part to the more savoury additions of masala — the aromatic mixture of cumin, black mustard seed, turmeric, coriander, fennel, ginger, chilies — and, of course, coconut. The happy marriage of Hindu, Christian, and Muslim culinary traditions adds variety to the Kerala table and ensures that vegans, vegetarians, pescetarians, and meat eaters alike are happy, which explains the full tables and big groups of happy eaters at Kochin Kitchen at lunch and at dinner. Coconut also makes its way into the masala dosa, a doily-delicate crepe packed with fluffy golden potatoes, onion, chili, and curry leaves seasoned with masala. The dosa is served with a side of sambar and green coconut chutney. From the menu at dinner, the server tells us that dum biriyani is the best choice, a chef’s special. A flavourful rice pilaf studded with shredded carrot, onion, and spices, as well as chunks of juicy chicken breast, arrives in a pretty copper dish and is topped with a hard-boiled egg with a side of yogurt and cucumber. Fish is an important part of Kerala cuisine. 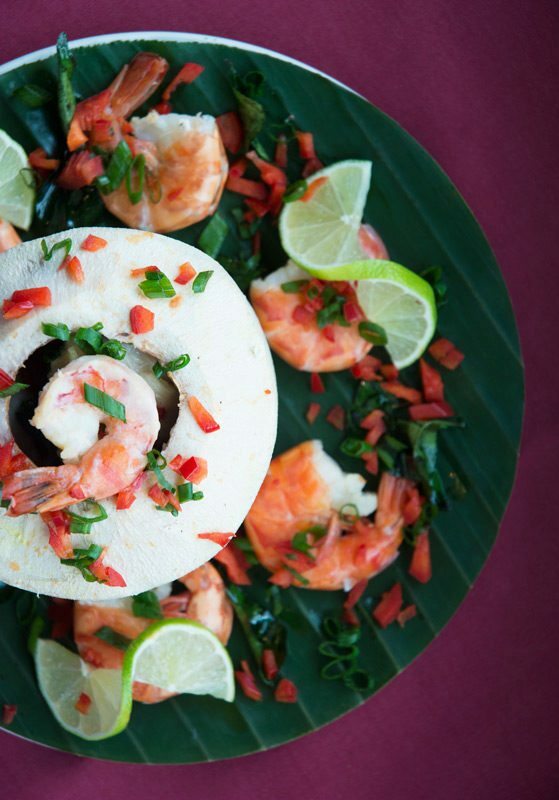 We choose the salmon dish, which is sprinkled with spices and wrapped in a banana leaf before being grilled. While it’s unlikely there are salmon swimming in the rivers and lagoons of Kerala, it provides a sturdy base for the fruity flavours of the tamarind paste that coats the fish and the tangy collection of purple onion, carrot, and cucumber pickle on the side. Aviyal is the one dish that disappoints. We are expecting a mix of savoury veg, but what arrives is a lot of potato, which, while deliciously flavoured with cumin, also comes with some very woody okra that is too fibrous to eat. White wine, red wine, and Indian beer that goes well with spicy food are on offer. 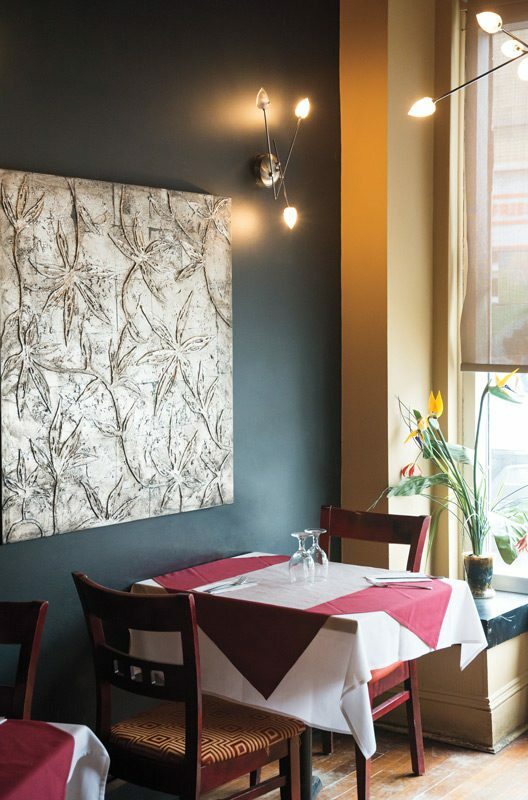 The service at Kochin kitchen is friendly and informal.